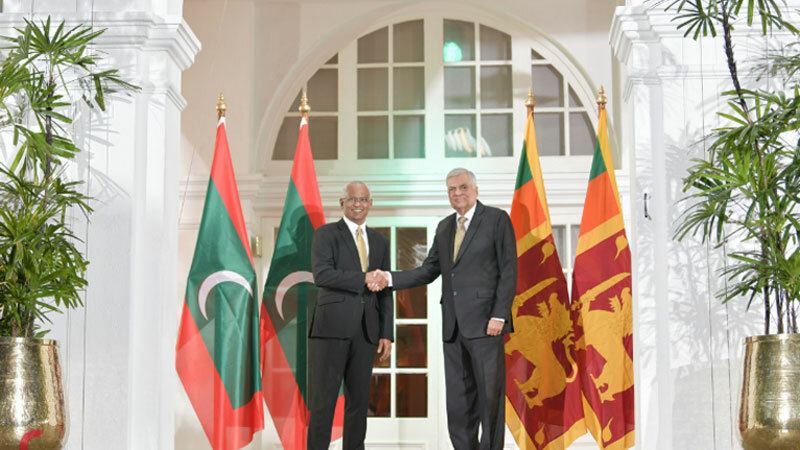 Prime Minister Ranil Wickremesinghe called Maldives President Ibrahim Mohamed Solih on Tuesday to congratulate him on his party’s success in the parliamentary election. Maldivian Democratic Party secured 65 out of a 87 seats in Saturday’s election. President Solih accepted the Prime Minister’s congratulations and expressed that he felt humbled by the strong level of support from the citizens and reiterated his commitment to delivering on the government’s pledges. During the call, they also spoke with respect to the longstanding and friendly relations between the Maldives and Sri Lanka and expressed their mutual eagerness to cooperate on a range of bilateral issues, especially in the spheres of tourism, increasing bilateral and regional trade and private sector collaboration. Concluding the call, Maldives President Solih wished both the Prime Minister and President Happy Sinhala and Tamil New Year in advance, Raajje News reported on Tuesday.